Alexander Bird,‎ James Ladyman, "Arguing About Science"
Arguing About Science is an outstanding, engaging introduction to the essential topics in philosophy of science, edited by two leading experts in the field. 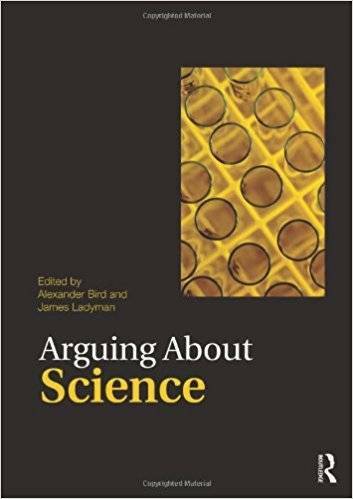 This exciting and innovative anthology contains a selection of classic and contemporary readings that examine a broad range of issues, from classic problems such as scientific reasoning; causation; and scientific realism, to more recent topics such as science and race; forensic science; and the scientific status of medicine. The articles chosen are clear, interesting, and free from unnecessary jargon. The editors provide lucid introductions to each section in which they provide an overview of the debate, as well as suggestions for further reading.